Litigation surrounding the accuracy of food labels has grown exponentially over the years. Numerous potential class action lawsuits have been filed by “consumer advocate” groups alleging that products were improperly labeled and violated U.S. Food and Drug Administration (FDA) labeling requirements, according to the Chicago Tribune. Below is a list of some of the primary drivers of class action label litigation. The Ninth Circuit is often called the “Food Court” since it has entered favorable rulings for plaintiffs in several consumer product label cases. For example, the Ninth Circuit recently issued a decision affirming class certification in a case alleging that certain oil products were misleadingly labeled as “100 Percent Natural” when they contained modified ingredients. The Ninth Circuit affirmed the class certification under Rule 23 of the Federal Rules of Civil Procedure. The court reasoned that it does not have to deny class certification simply because of “administrative feasibility.” This is an argument raised by defense counsel arguing that there may be better alternatives than the federal court system to achieve an efficient resolution to a claim. The FDA regulates the types of additives that are used as preservatives in consumer products. However, the FDA does not clearly state how manufacturers should label a product if the manufacturer uses a preserving agent that is used for something else, such as flavor. This ambiguity has played a significant role in the class action litigation involving frozen pizza labels, coconut oil labels, coffee ground labels, and so forth. For example, a lawsuit alleges that some frozen pizzas are labeled as having “no preservatives,” even though the pizzas contain citric acid, a common food additive. Manufacturers argue that citric acid is added for flavor, not as a preservative. In another label case (which was fortunately dismissed by the court), the allegations focused on the misleading labeling of frozen berry products sold as “all natural fruit.” The frozen berries contained citric acid and ascorbic acid (i.e. Vitamin C). Ascorbic acid is a naturally occurring substance that is sometimes used as a preservative, just like citric acid. In 2015, the FDA requested comment on how to regulate the term “natural” in food labeling. After the comment period closed, the FDA did not issue any follow-up information or rulings on the use of the term “natural” on labels. Regulations on the proper use of “no preservatives” or “preservative-free” are not on the pike since the FDA has not even issued a request for comment on regulating the use of those terms on consumer product labels. The Trump administration has made clear that they are not looking to implement new federal regulations and the candidates in the running to oversee the FDA are generally in favor of fewer regulations, and that likely includes new food label regulations. 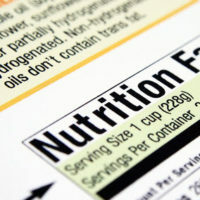 With the growing number of food label cases, your company needs top-notch representation. The Brownsville law firm of Colvin, Chaney, Saenz & Rodriguez, L.L.P. provides skillful representation to product manufacturers facing any type of liability claim, including alleged mislabeled consumer products. We understand what is at stake for your company’s reputation and bottom line in these cases.